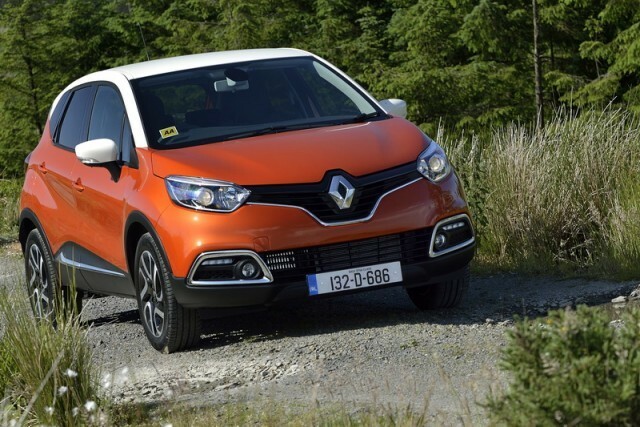 Here's the Carzone.ie used car guide to the Renault Captur. Since its introduction in 2013, the Captur has been the biggest-selling car in the ever-expanding small SUV segment. That’s quite some achievement when you remember just how many newer, talented rivals have appeared in the four years since then. The Captur has always had a lot going for it though, not least exceptionally handsome good looks. It’s based on the same chassis as the Clio, so that means it’s decent (if not perhaps exceptional) to drive, it’s reasonably roomy in the back and boot and overall build quality and reliability are good too. No wonder so many families are switching out of traditional hatchbacks and saloons. The Captur is pretty well equipped as standard, and although Renault has kept tweaking and altering the range as it’s gone along, the basics are still the same. An entry-level Expression model comes with all you really need — air conditioning, Bluetooth phone connection, alloy wheels, cruise control and keyless entry and ignition (although not everyone’s keen on the credit-card-style key). Move up to a Dynamique model and you get climate control, a seven-inch touchscreen with Renault’s R-Link media system (a bit fiddly, but quite useful), bigger alloys and contrast-colour roof. That roof colour thing has become a Captur signature, but beware as some colour combos are a bit garish, and if you get it wrong, you might hurt the resale value. Top spec Signature models come with leather, premium sound system and extra safety features such as blind spot warning. Actually, on the safety front, it’s worth remembering that Renault has consistently been one of the best-performing brands ever in the Euro NCAP crash test programme, and the Captur scored a maximum five-star rating when it was tested in 2013. Engine choices are basically limited to the 1.5 dCi diesel (familiar from a whole host of other cars from the Megane to the Nissan Qashqai) and the 900cc three-cylinder TCe petrol turbo. Generally speaking, we’d suggest that the petrol turbo three-cylinder is the one to go for, but that does limit your search a little as, unsurprisingly given the current motor tax system, most Irish buyers have gone for diesel since the Captur made its debut here. That’s a shame, as the 900cc engine is willing, has decent power, good fuel consumption and only costs an extra €20 or so a year in motor tax. Given that there’s nearly a €2,000 price gap between the two engines (when new) it certainly seems like the better option to us. That said, the diesel is impressively economical, and has mid-range thrust that is great for long motorway journeys. Just watch for blown turbos and problems with the exhaust gas recirculation valve, and on all models be wary of electrical issues, especially with the key-card and the ignition system. The best trim to go for is definitely Dynamique, as it comes with the all-important touchscreen and the desirable contrast-colour roof. As with most of its rivals, the Captur does represent a compromise, and a similarly-priced Megane is a more sensible car all-round. But the style and appeal of the Captur is hard to beat, it comes with good engines, a pleasant interior and is reasonably well-built. No wonder we buy so many of them.